This is possibly the most depressing children’s book I’ve ever read. It is almost impossible to read more than one chapter at a time without being overwhelmed by despair at our inhumanity – and yet it is shot through with rays of hope that are humbling in their intensity. It is a seriously important book. Bradman has compiled a series of fictional narratives about young refugees written by those who have themselves been asylum seekers and by those who have worked with them. Although fictional, their stories are grounded in fact and reality. 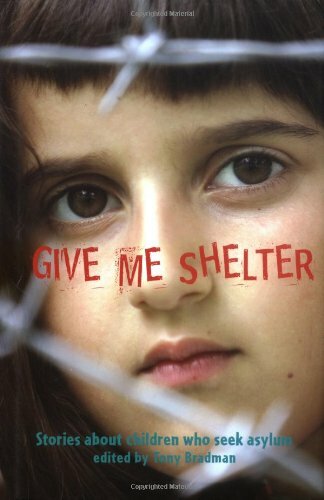 So we read of Sabine and her sister losing their father and escaping from civil war in the Congo, Kareem sent away by his mother to be spared from death in Eritrea, Samir exiled from Baghdad and Jusuf, displaced from Kosovo when Yugoslavia ‘fell apart’. Most of all, we learn of the loneliness of being a refugee in a strange country. By the end of the book it is hard to know which is the more depressing: the wanton cruelty of tyrants in Somalia, Vietnam and Zimbabwe; the bureaucracy of our own Home Office and assorted petty officials – or self-centred members of the public in host countries. Critics might say these glimpses of a world-wide problem are emotionally loaded and simplistic. That problem, however, is simple. Children suffer terribly. They need help. We are complacent. If I thought there was a cat in hell’s chance of my MP actually reading the book from cover to cover, I’d buy him a copy.